Should I book a cockroach pest control service? Get the best value on pest control in Sydney. We price match! Hire your local pest controller to stop cockroaches. If you want to get rid of a cockroach infestation in your property, the best solution is to hire reliable cockroach pest control experts. Neglecting to fix a pest problem can lead to health issues caused by diseases that are spread by common pests, such as the pesky german cockroach. We recommend that you get help from the masters of pest control to protect you and your loved ones from cockroaches. Now is the time to think about the most effective solution when it comes to dealing with cockroach infestations in your property. The truth is, stopping cockroaches can be quite tricky. Using over-the-counter bug sprays will not provide a lasting solution. Cockroaches reproduce quickly and in surprisingly large numbers. These pests are even resistant to some household bug sprays. With our help, there is no need to worry. We are Sydney's friendliest and most helpful pest control experts. Contact us and we'd gladly give you a FREE CONSULTATION. Call (02) 8007 4666. Where can I find the most competitive cockroach pest control price in Sydney? Get the best pest control price in Sydney by comparing rates. Our pest control company can match any comparable cockroach control quote from competitors. Make sure to compare pest control rates first. We guarantee to provide the most cost-efficient pest control services throughout Sydney! How can I get rid of roaches? The ideal solution to prevent any pest infestations is to maintain proper sanitation and prioritize pest prevention. A regular building and pest inspection can help stop any type of pests from infesting your property and causing damages. Prevention is always the best solution when it comes to pest control. As a leading pest control company with 40 years of combined building and pest control experience, we understand your needs very well. We conduct regular pest inspections to guard your property pests. We also provide environmentally-friendly pest control treatments that are safe for you and your loved ones. We make sure to only apply a pest control treatment that will not cause any harm to your kids or pets. Our team is happy to take the extra time to work out a strategy that would eradicate those nasty cockroaches once and for all. Call us now on (02) 8007 4666 to request a free quote or schedule a cockroach pest inspection and pest control! You may also send us a message for any inquiries. 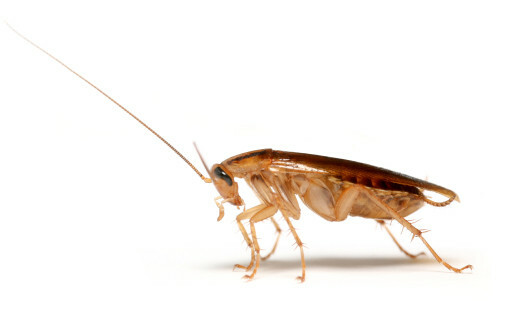 Call our cockroach pest control experts for a quick, simple and cost-effective solution! What can I do to prevent cockroaches from infesting my home? Remove any potential food sources that may accumulate in places where cockroaches often visit, such as the kitchen and dining area. Cockroaches require food in order to survive. Make sure to not leave unwashed dishes in the sink or leftover food on the table or countertop. To prevent attracting cockroaches, regularly clean pet dishes, unsecured food containers, garbage containers, and litter boxes. Always maintain proper sanitation by regularly cleaning your property. Get rid of junk and maintain a clean storage place. Avoid accumulating trash and unnecessary junk such as old newspapers, food cartons, boxes, and other items that could be an ideal nesting ground not only for cockroaches, but also to a wide range of stubborn pests including rats, termites, flies and more. Regular cleaning and vacuuming may also help you detect early signs of a cockroach infestation. Remove possible sources of water to prevent cockroaches. Just like any other bug, cockroaches require water to survive. Moisture is particularly vital for this kind of bug, that is why you will often find them proliferating near the bathroom and kitchen. Fix any leaking pipes or taps that need repair. Watch out for cockroach eggs. Inspect new items that you'll be bringing inside your home or property. Furniture, appliances, secondhand items, and food storage containers may contain cockroach eggs. These tiny eggs may pave the way for a full-blown cockroach infestation. Hire expert pest control professionals to regularly inspect your home and plumbing fixtures. This would stop cockroaches from migrating and settling in your property. Occasionally, German cockroaches migrate from one area to another. This problem often happens in apartments and residential buildings with connected plumbing and shared features. There is a chance that cockroaches living in your neighbor's place may explore and eventually settle in your property. Where can I book a cockroach pest control in Sydney? If you're looking for the best cockroach exterminator, you can book one of the most trusted pest control companies in Sydney. The Masters of Pest Control offers cockroach control services all over Sydney including suburbs Parramatta, Gordon, Greystanes, and more. If you need more information or pest control advice, feel free to contact us on (02) 8007 4666. You can also easily find us on Facebook! Pests can be found literally everywhere. It is good to get professional bug removal services in Sydney. Our city is particularly prone to various German Cockroach and bug infestations, being an ideal place for these creatures to live in. Sydney is a large city with millions of people, a good place to harbor cockroaches. If you are in need of cockroach pest control services, one of the best providers in the city is the Masters Pest Control Sydney. Our team is always ready to give you free advice when it come to getting rid of these nasty cockroaches. Contact us to request a free quote. Look for recommendations and testimonials from other satisfied customers. Most of our clients come from referrals from our previous customers. We do such a good work that a handful will regularly leave comments and good reviews. We pride ourselves in ensuring professional, quality service at all times. Make sure that they use pet and child-friendly pest control methods. Others may be using harmful chemicals to kill cockroaches. Masters Pest Control, on the other hand, ensures that in areas where children and pets roam, we only provide the safest pest control solutions. In addition, we understand that different suburbs are environmentally sensitive. We ensure there is no residual effect that can harm the fauna and flora around your property. Always ask your pest control professional if they can provide you a lasting solution to your pest control needs. Masters Pest Control guarantees to remove German Cockroaches the first time. We have an industry unique solution that removes the need for a follow-up pest control treatments. Read about our pest control guarantee. A good pest expert will sit down with you and give you the best advice. We take time to talk to our customers so we can come up with the most efficient strategy when it comes to getting rid of any pests. Stop cockroaches from infesting your property with the help from the masters of pest control. There is now a wide variety of insect infestations that you should watch out for. In Australia, there are common pests that can infest any property. These pests include rats, bedbugs, ants, fleas, flies, termites and more. This is why you should look for a pest control company that you can rely on. All of these insects can bring not only discomfort to your home, but can also endanger the health of your loved ones because of the diseases that they can spread. It is essential to deal with them as soon as possible in order to not risk suffering from serious damage to your property and most importantly, your health. The masters of pest control is always ready to help you get rid of any pests. We have several mobile vans that can come to your place to conduct pest assessments and property inspections. We'll help you come up with a sound strategy that would stop any pest infestation from every reoccurring. You can definitely rely on the masters of pest control! Call (02) 8007 4666 to book a pest control service!